Start your own adventures with the amazing 10'4" x 6" Adventurer 2 iSUP Package. Includes a 10'4" by 32" by 6" inflatable SUP, a high-end Tower branded diamond grooved deck pad, a 2+1 fin configuration with a removable center fin, a hand hold strap, a roll-up carrying strap, a cargo net, an extra handle in the front and back, and a leash attachment ring on the tail. Frankly, virtually all 4" inflatable SUPs (which is pretty much all inflatable SUPs on the market) leave a lot to be desired. That's putting it nicely. They sag in the middle and ride low in the water so you end up standing in a puddle of cold water, which is miserable. The sagging and undulating ride also slows you down. The 6" thick, military grade Tower Adventurer Inflatable SUP is dramatically more rigid, plus it floats higher in the water so no wet feet. But this is only one of many advances that set the Tower Adventurer Inflatable SUP apart from the competition. The Tower Adventurer Inflatable SUP is made from extremely rugged materials like those youd find on the highly regarded Zodiac boats and extreme river rafts. The amazing rigidity in the Adventurer 2 is created by thousands of vertically oriented strands of identical length that connect the top deck to the bottom. When inflated, they form a structure that has the rigidity of a piece of plywood, and the thicker you go the exponentially more rigid it gets. You'll be amazed. We can literally put the front tip of the 10'4" x 6" Tower Adventurer 2 on one chair and the rear tip on another chair and a 200 lb person can stand in the middle and you can barely see the thing flex. Do this with most 4" inflatable SUPs and they will taco almost to the floor. Even 3/4" plywood flooring would probably break over this almost 10' span. I was driving through the mountains and found a Tower2 board on the side of a mountain highway. It is still inflated and no damage in any way. For where i found it it had to fly off a vehicle. I will buy one next year for my wife. Great board, can't believe how hard it gets, really feels like a hard board. Took our new board out for the first time on Sunday to Kashima, Ibaragi Pref., Japan. Got it via Amazon. It’s great. Worked perfectly in 2-3 ft. Swells. Seems very well made. Very rigid at 10 psi. It is easy to carry in the back of the car. I keep it in a duffle bag for protection. Inflating with the pump is quick... but hard work to get to 15 psi. This will come with us on trips to Hawaii, etc. I absolutely LOVE my Board!!! I had only been paddle boarding one time. I loved it. I started looking to buy a board. One I could handle on my own. And I’m no spring chicken. Well I could not afford to buy one being a single female trying to make my way in the world. While looking in the Tower website I happened upon a contest giving away a package...... well.... yep this girl won!!!! And I am absolutely thrilled. It’s easy for me to carry around in my middle suv. Super easy to inflate and deflate and the joy and peacefulness on the water is awesome. Thank you Tower! Referring everyone I know to your company!! great board for the whole family! Stable and fast if you wanted to be.. tracks great! looking to grab the iRace next when the next sale comes! My recommendation to those considering an inflatable, get the Tower. Stay away from the box stores and their ilk. You need a warranty and a great product and customer service. Tower provides this! Bought the 10'4" package. Few days later bought a second package. Then a few days later bought the electric pump. Spending every other day ISUPing. Grandkids love it. I did lots of research and had never been on a board but am a fit 70 years. Even though I pump iron I got the electric pump. So easy. Inflates two boards to 10psi in no time. Everyone asks about them. I've seen lots of inflatables that will last for a few outings but it's easy to spot the difference in construction. I recommend Tower. The price point is negligible when you consider that you are out on the water and need quality. Inflatables are neat. I can go from the bay's and beaches in Maryland and Delaware and then to downtown Annapolis, inflate in the parking lot at Ego Alley and plop in for an hour or so. Then out, deflate and grab some food and drink in historic Annapolis. I drive a midsize sedan and put both in the trunk. I've got the American made hi tech trunk liners and floor mats. No fuss, no muss. All locked up! No roof rack or wind resistance or advertisement that says steal me. Very pleased in general but not receiving any real instructions was a bit unnerving. Figured it out trial and error except for the pressure gauge. Still have no idea how it works. Giving four stars of five. I'm almost 70. In good shape and didn't think the inflation was hard. Sat and paddled then paddled kneeling then stood. The board is exceptional and all the rave reviews are absolutely correct. Going to buy a second one so we can have two family members on the water at the same time. Great product. I received the Adventure 2 as a Mother’s Day gift. I love this board. It’s very stable and rides well above the waterline. Can’t wait to take it to Maui on my next trip. This board is so much nicer than the rentals I had used prior. We took our boards out for the first time to a local reservoir. Inflating them took about 5 minutes each to get to around 12-14 PSI, which wasn't too difficult. We also took our dog, a 45lb hound mix, on the maiden voyage. While she made standing somewhat trying when she moved around the board, the board was very stable and felt almost solid. 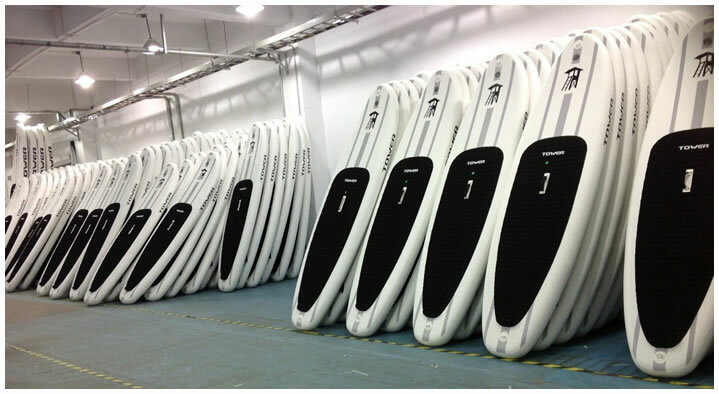 We had a great time and would recommend these boards to anyone looking for a well-made, inflatable paddle board. Thank you for making such a great paddle board. I bought the adventurer 2 last May (along with the electric pump) and I absolutely love it! So far based on my high recommendation of your board 6 of my friends have bought one too including my mom with more friends looking to buy one as we speak! Today my friend Sasha and I went out for the first time of the season on glass water on a beautiful lake in Wisconsin. It started out at 56 degrees but soon warmed up. I couldn’t ask for a better start of my day. I think I could be a remote sales rep for you guys!! It is exactly what I expected and the quality is there. Been using it almost daily! I was thrilled to receive my new SUP! I opened the box, unrolled it, and began to inflate it. I couldn't do it! It was way to difficult to inflate. I don't know how other women do it. Great service, fast shipping and terrific product. Highly recommend! I have had two interactions with this company. The first was to replace a part on a friends paddle board. The experience was so seamless, it was the main reason I purchased my own paddle board! You guys ROCK! Very light, stable paddle board. Very compact when deflated. This is my fifth board and perfect for bringing with you if you want to travel with your board or do not have a roof rack. Very solid ride. Highly recommend! I researched every paddle board imaginable before I decided on this one. I already have a hard board, but I wanted the convenience of an inflatable for travel. I took this out and was very impressed. The board is easy to inflate, extremely durable and loads of fun. The whole family used it! The price point was amazing for a board of this quality. Very, very happy and now the other members of my clan need to buy one. They can’t have mine!